This listing is the SALES MODEL, seller request up to 12 month leaseback and will pay $2400 month plus HOA dues, taxes & insurance. 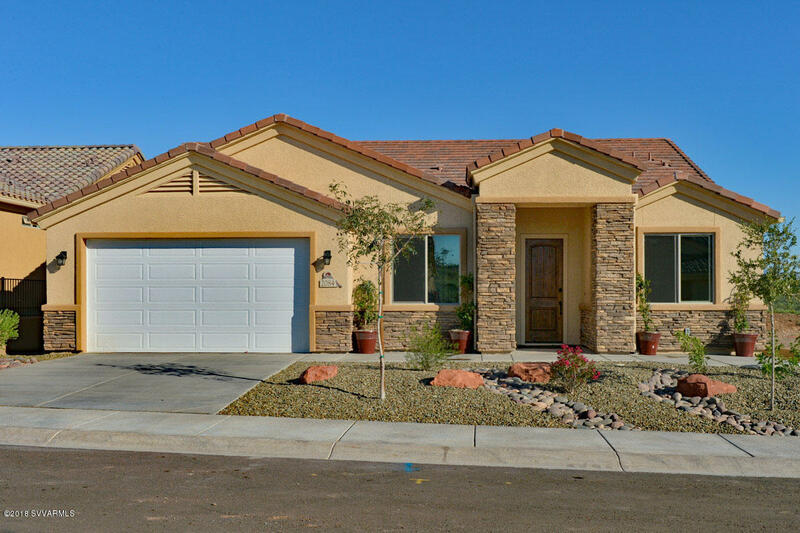 EnergyStar certified home with w/post tension foundation featuring open, split floor plan. Tile floors & carpeted bedrooms. bonus room(approx 20'x12 ft) pre-plumbed for future bathroom. Located in the foothills of Mingus Mountain w/distant Sedona RR views. Kitchen have extended knotty alder cabinets, an extended island and granite counter top w/breakfast bar & walk-in Pantry. Master bath features double granite vanity, full tile shower and walk-in custom built in closet. 3-car tandem garage with built in cabinets & work bench and epoxy floor in garage. Covered patio. Livrm with built-in ent ctr & elec fireplace.